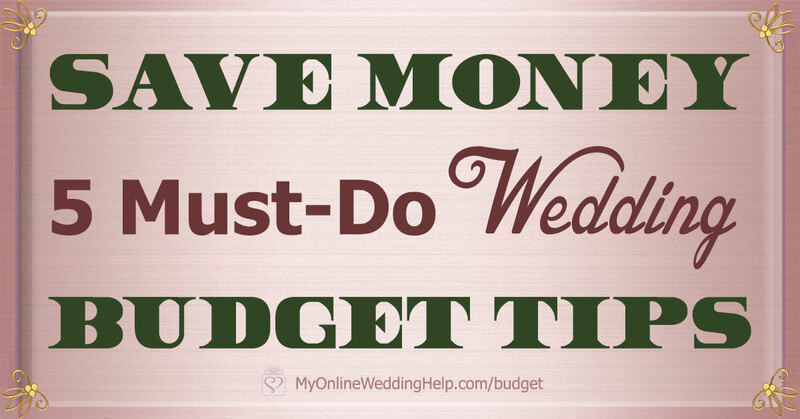 You are here: Home / Wedding Ideas / How to Effectively Manage Your Wedding Budget. 5 Must-Do Tips. Make no mistake, a wedding can cost a lot of money. And even more if you don’t put a proper plan in place to manage your finances and stick to a budget. According to a recent survey by The Knot, the average wedding in the U.S. costs over $30,000. Much of this is accounted for and many couples do, indeed, start out with a spending limit in mind. The problem is that many don’t adhere to it. In fact, as many as one in three couples go over budget! It can be easy to let fancy venues and decor get the best of you. But don’t be among the many that will be left paying off their wedding for years to come. Your wedding budget should be one that you can stick to. That may be $5,000 or $35,000. It’s important that you set one up that is practical based on your current and projected financial situation. To do this, have a conversation with your soon-to-be-spouse. 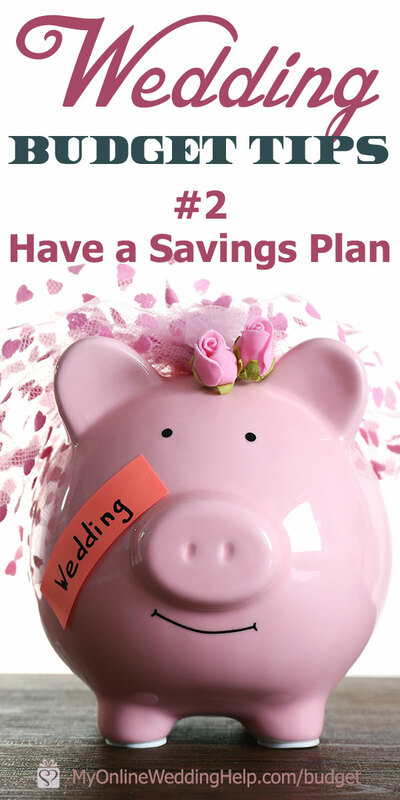 See how much money you currently have in your combined savings, then think about how much you will have saved up by the time of your wedding. It’s normal to save about 10 to 20 percent of your paycheck every month prior to your wedding, depending on how far out it is. As the name implies, automatic savings allocate a designated percentage of your paycheck every time you get paid, without you constantly having to go in and tamper with your bank account. A mobile banking app like Chime is perfect for this. If appropriate, ask you and your spouse’s family if they’d be willing to contribute to the wedding, and factor that into your budgeting plan. Even a few expenses covered goes a long way! Once you have a set dollar amount, this is your maximum budget. From here, decide where to spend your budget. Downloading a printable wedding planning checklist (this is our customizable one) is the starting point. Find the ‘estimated’ cost of a particular item by researching its price within your area or online. When a shop or vendor has caught your eye, contact them to get a quote. Or make note of the product cost. To get you started, we’ve given you a few links in the Shop column. It’s possible that you’ll need to go back and modify your Estimated cost if the quotes you are receiving differ from what you originally projected. Once you’ve booked a vendor or made a purchase, note the cost under the Actual column. Tracking every expense from the beginning will give you an idea of how much you are saving or spending on each item in order to make adjustments to your sheet later on. In an ideal world, we would be able to know about every cost associated with having a wedding ahead of time. Unfortunately, that’s usually not the case—and these unwelcome surprises are often the reason many couples go over budget. Therefore, as cliché as it is to say, you should expect the unexpected. You can do this using the Extras column in your spreadsheet. Under this column, you should include any tips, taxes, fees, or other costs that weren’t initially revealed from the start. Your Extras column should accommodate 15 percent of your total budget to brace you from any unforeseen costs. You never know what other last-minute wedding costs you may have no choice but to incur. It’s entirely possible that a vendor requires a setup fee or transportation costs covered. It’s also possible that your family’s preference for fine wines could add hundreds, or even thousands to your total wedding costs. But, have no fear—your budget is now built to handle anything … (well almost anything)! Next Step: Review our wedding venue contract tips to avoid some of those unexpected costs!